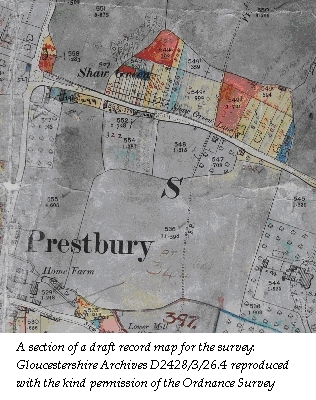 This Bristol and Gloucestershire Archaeological Society project aims to transcribe and analyse for Gloucestershire the survey of land values carried out as a result of the 'People's Budget' of 1909. The database of Gloucestershire properties, their occupiers and owners that results from the project will be published here. The Information section of the database describes the background of the survey and the documents it produced. You are welcome to explore the current state of the database, to get a taste of the rich material it contains. BUT please be aware that the interface is still in development and the data has not yet been fully checked. The MAPS section of the site is still underdevelopment. Not all the rectangles on the overall maps are currently linked. For further information about the project, please contact info@glos1909survey.org.uk. The database is currently being updated and search results may be incomplete.